Is a Divorce Decree Void if a Financial Disclosure Is False? Typically you and your spouse must file financial disclosures when you divorce. In fact, all states maintain this requirement in some form, except when a divorce is uncontested and you and your spouse agree on all major issues associated with the divorce. If you discover that a financial disclosure was false, your divorce is not void -- but depending on the circumstances, you may be able to get the court to re-address certain financial issues. Simply because the divorce is not set aside by the court, or voided, does not mean that you have no recourse. You have the legal right to go back into court and reopen the divorce case, without setting aside the marriage termination itself. You can request that the court reexamine issues surrounding finances, property and debt in light of the revelation concerning false statements filed by your ex-spouse. If your ex made only minor misstatements, such as slightly understating income, the consequences usually fit the misconduct. 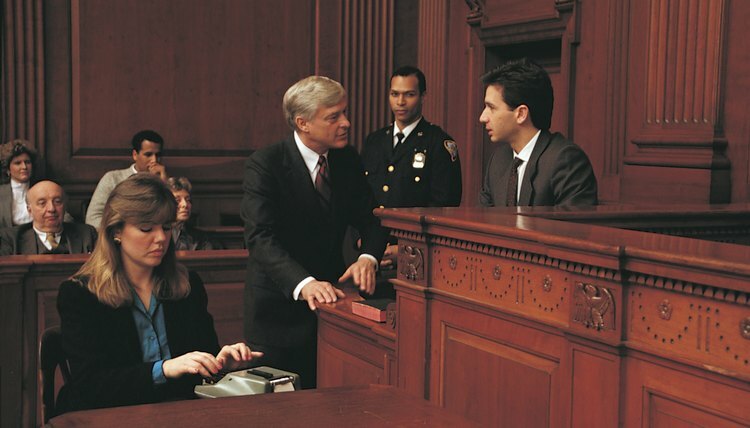 Although courts do not condone even minor false statements, particularly when made under oath, a likely resolution will be an admonishment or scolding by the judge, and an order to correct the financial disclosure statement. There will also typically be an adjustment of asset or debt allocation between the parties, if necessary. The most significant penalty a court imposes in the aftermath of a significant false statement on a financial disclosure statement is a finding of contempt. What is known as a "contempt citation" results in penalties that may include forfeiture of additional property to the injured spouse or a monetary penalty payable to the court. A judge even has the authority to send your ex to jail pursuant to a contempt citation. However, in the vast majority of cases involving even a major misstatement, a trip to jail is unlikely. Generally speaking, no adjustment in either child custody or support likely occurs in the immediate aftermath of the discovery of false information in a financial disclosure statement as a means of punishing the wrongdoer. However, if the misinformation resulted in a significant understatement of income, the court may order a recalculation of the parents' child support obligations.